There are many things that you don’t think about before you become a parent. Yet when your bundle of joy comes into your life you start to take of notice of a lot more things. One of them is whether or not there is a diaper changing station in the men’s bathroom when you are out at the mall or restaurant. Gone are the times where moms are the only ones expected to change diapers. Dads want to be involved more now when it comes to their kids. When my daughters were in diapers I didn’t find a lot of men’s bathrooms that had a diaper changing station. It was frustrating and I would either have to walk to my car and change their diaper or just find a place in the store to change my child’s diaper. It was very frustrating. 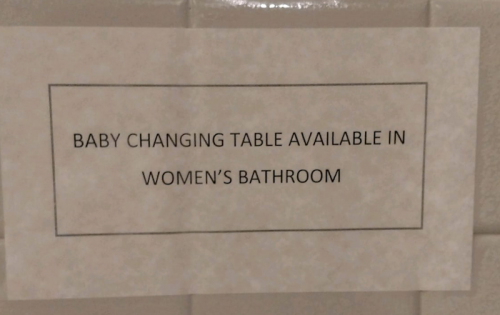 I wished that there were more stores and restaurants that had changing stations in their bathrooms. It would have made life more easy for me as a dad. A fellow writer and father, Scotty Schrier started up a campaign to create awareness on this issue. He started adding places where places had diaper changing stations in the men’s bathroom. You can follow him on Twitter at @DaiperDads. Recently on the Life of Dad Facebook page this issue was brought up by a few dads. They expressed their frustration with their experiences in public restrooms. Here are a few of their thoughts on this topic. I don’t climb on my soap box often, but this is one issue that lights me up. It is 2018 and I have to put up with this when I try to care for my son. I had to make him stand up while I changed his poopy diaper on the sink with poop dripping down because only women can care for their kids apparently at this restaurant. One elderly man walked in and said even McDonald’s has changing tables for guys. I pointed out the sign and he said maybe I should try taking Hobbes in there and see if their policy change at all. 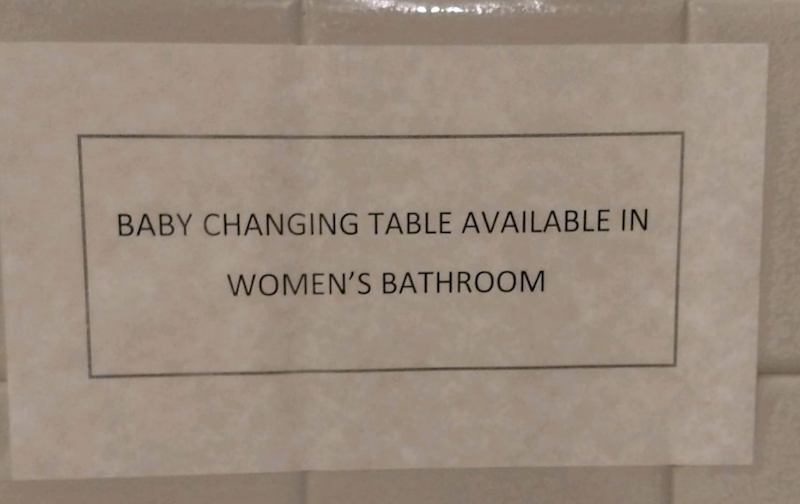 This place is far from the first one I have dealt with, I would say easily 2/3 or more have no changing tables in the men’s room. We need to believe men are just as capable caretaker as women. Just walked through three different department stores looking for a place to change my son, but only women rate changing stations. WTH? There were a lot of dads sharing their advice on this topic. From funny solutions to ways they got stores and restaurants to install diaper changing stations to in men’s bathrooms. Have you experienced this issue? Let us know on our Facebook page or our community section here at Life of Dad. We love when we can work together to create positive changes in fatherhood. As we share our experiences we can learn and build off each other and take steps in the right direction. For a similar story check out how one dad got yelled at for parking in a Parents Only parking spot.